Smokey Grey Crystal Tie Clip. 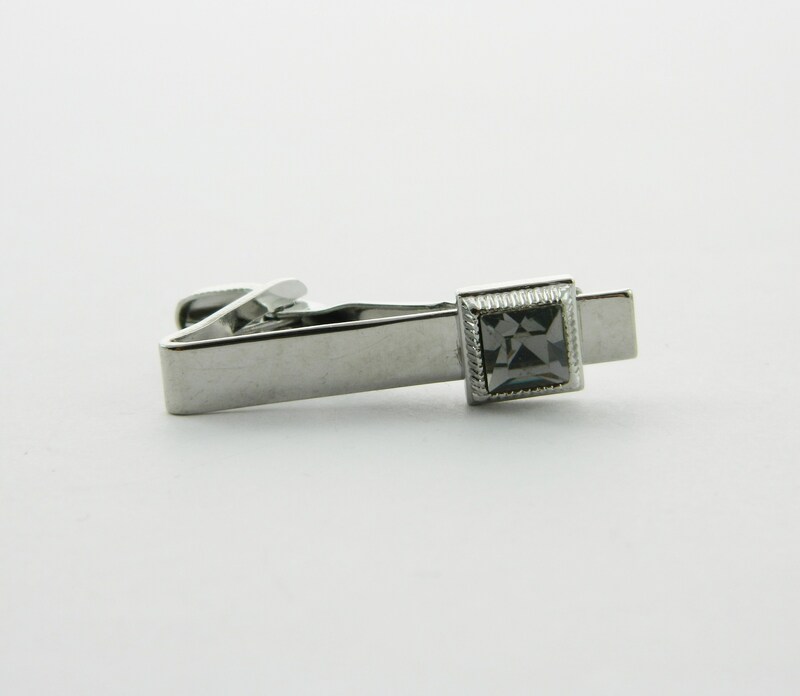 Small Silver Tie Clip with Silvery Grey Crystal. Never worn. Vintage Warehouse stock.